The Union National Bank Building is an L-shaped, ten-story skyscraper with a basement and mezzanine. It was designed by William Augustus Edwards and constructed 1912-1913. Situated at the northeast corner of Main and Gervais Streets across from the South Carolina State House in Columbia, its two primary elevations face onto one of the state’s most traveled and visible intersections. Clearly divided into three sections, the structure follows the formula for the tall office building type established by Chicago architect Louis Sullivan at the end of the nineteenth century. Its structural system is composed of steel, reinforced concrete, and terracotta blocks; its curtain walls consist of brick, concrete, Gothic Revival terracotta panels, and glass and tile panels. The Union National Bank Building is significant for its associations with commerce and politics/government, as well as for its architecture. The building is evidence of the strength of Columbia’s turn-of-the-century economy, and especially of its banking industry. The Union National Bank chose to build a tall office building rather than a standalone bank, testifying to its success and the city’s optimism. 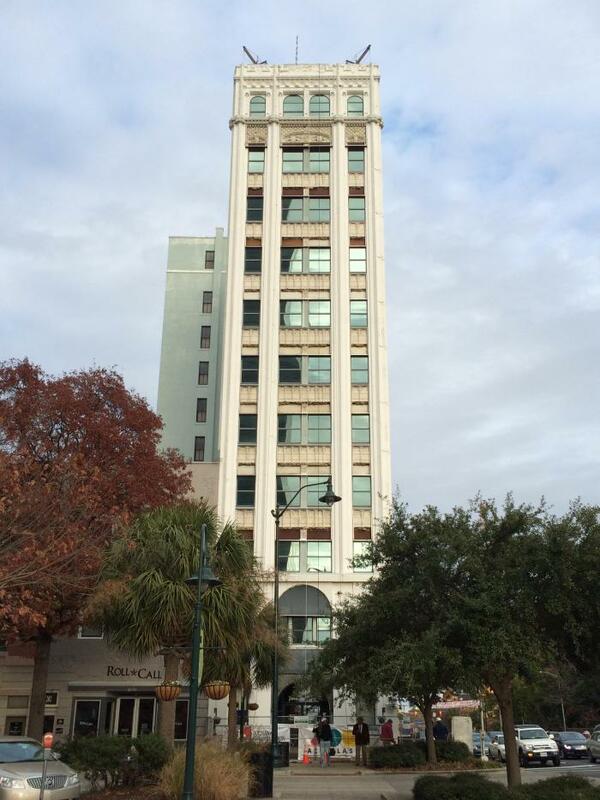 The South Carolina government’s perpetual inability to house all of its state agencies also contributed to the bank’s choice of a skyscraper: located across from the State House, the building leased to state tenants throughout the period of significance. The building is also significant as the capital city’s second skyscraper. With a tall steel frame and extensive use of terracotta, it heralded Columbia as a sophisticated metropolis akin to larger cities nationally. Listed in the National Register January 14, 2019.